Eliminate the Worry About Who Did (or Did Not) Receive the Memo. 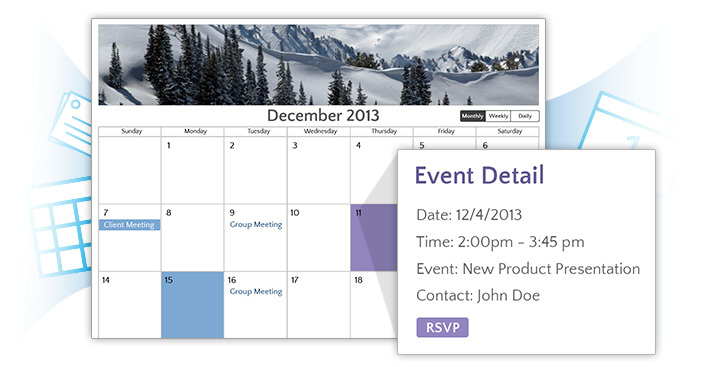 LunaSoft’s dynamic calendar software is your golden ticket to keeping team members and clients in the know. 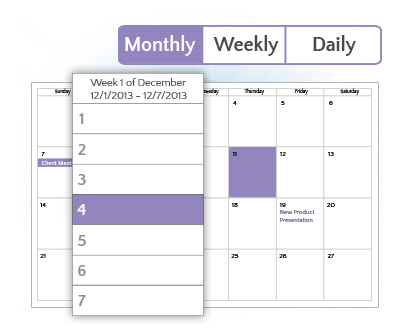 When a full-month view isn’t enough, detailed pop-out boxes fill in the gaps so that your company schedule is available 24 hours a day, 7 days a week. 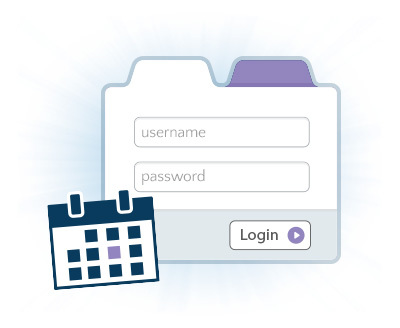 A decrease in time spent scheduling that’s likely to result an increase in productivity? Sounds like a win-win for all. 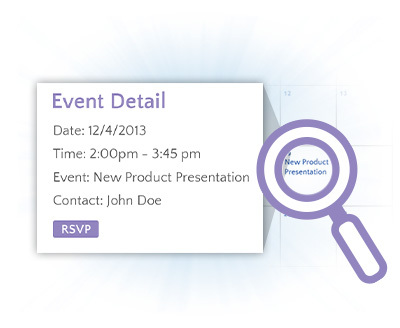 Beyond title and date, when you click on an event, a pop-out box provides detailed information.